Even if you’re not a project manager by trade, sooner or later as a marketer, you’ll likely need to develop project management skills. For example, you may get promoted from a creative role into a leadership position where you switch from executing projects to managing them. Or, you might need to take the lead on an initiative you’re spearheading, coordinating tasks across teams to get your vision implemented. Fortunately, you don’t need a ton of experience to pick up the basic knowledge and skills needed to plan your team’s projects and keep them on track. While project management is a deep and complex professional field, as a marketer, you can get by with simply knowing how to implement basic concepts. And if you are an experienced project manager, marketing teams have specific needs and requirements (which you might not be aware of, especially if your previous experience was in a different industry). 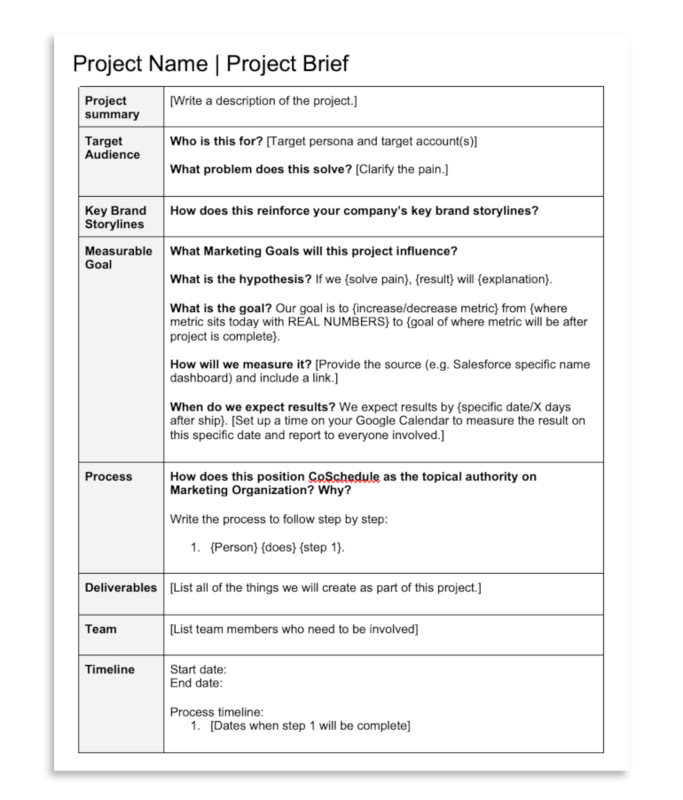 This post will cover what marketers need to know to keep projects on track (even without prior experience), and provide some insight into what marketing teams need from project managers (even if you have experience outside this specific industry). This post is packed with information you’ll need to get your project up and running. But, it’s not about to tell you a bunch of stuff to do and then leave you to your own devices to figure out how to actually get it done. What Does a Marketing Project Manager Do, Exactly? Guiding projects from start to finish. Determining scope, assigning tasks, setting deadlines; everything involved in setting up projects for execution. Ensuring everyone has what they need to get their work done. And if they don’t, figuring out what’s need to get them what they need and remove roadblocks. Facilitate communication between stakeholders. Project managers make sure everyone has all the information they need too, and ensures team members are communicating clearly with one another. Of course, there’s a lot more to getting the job done, but this bullet-point version gives you a high-level understanding of the role. Later in this post, you’ll learn in more detail how to actually achieve these aims (and more). If you’ve never managed a project before, it’s easy to quickly feel like you’re in over your head. So, the easiest place to start might be to understand what skills you need, so you can identify gaps in your skillset and know where you need to grow your capabilities. What Soft Skills Will You Need to Succeed? Before digging into the technical skills required to manage projects effectively, it’s worth understanding the general and interpersonal skills you’ll need first. Each of these are worth a blog post unto themselves, and so this post includes links for further reading per skill. Interpersonal Communication: If you’re leading a project, you’ll need to be able to communicate with everyone involved (both verbally and in writing). 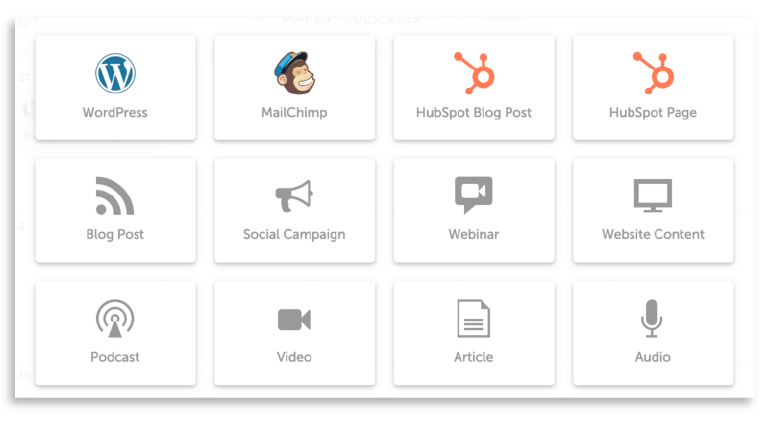 It’s a good thing those should be things that come naturally as a marketer, but if not, this concise list from Lifehacker is a great place to start. Negotiation and Conflict Management: Not everyone on the team is likely to agree on everything all the time. When conflicts arise, it’ll be your job to resolve them to keep the project moving forward. Here’s how to do just that. Time Management Skills: Everyone on the project will need to know how to management their time effectively (including you). 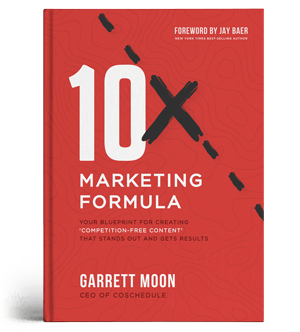 If you need help in this area, here are 101 time management tips (specifically for marketers). Basic Leadership: If you didn’t consider yourself a leader before, it’s time to change that. Even if you’re not a team lead, there will be times where you need to spearhead a project. This piece from Fast Company offers some useful tips and starting points for developing leadership traits. Subject Matter Expertise: If you’re a marketer looking to build project management skills, odds are you already have deep subject matter expertise both in A) marketing and B) your clients or company’s industry. But, if you’re a project manager by trade working with marketing teams, this is something you’ll need to develop. Even if you’re on the introverted side, developing these skills (and learning to be at least somewhat of a “people person”) will go a long way toward your success here. 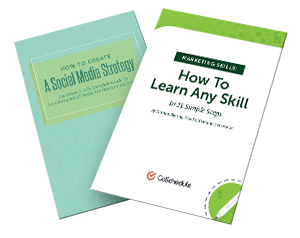 Which Technical Skills Will You Need, Too? Now, it’s time to dig into the hands-on skills you’ll need to actually manage projects. This isn’t necessarily a complete list, but it covers the major competencies you’d do well to develop. Consider this a short list of what you need to get by (which is really what we’re going for here). Resource Allocation: Any project will be subject to constraints on available resources (whether that means time, budget, or people to carry out the work). You’ll need to understand how to make the most of what you have. Task Management: Helping the team develop workflows and understanding what needs to be done at each step in the project is another important responsibility. Timeline Planning: On any given project, you’ll likely have multiple people working on different pieces of the greater whole. Before anyone starts anything though, you’ll need to make sure clear timelines are set for who is doing what, and when. Ability to Set Deadlines: Add two or three days to whatever deadline someone says they can give you, and up to two weeks on a project as a whole. Building buffer time into project deadlines this way helps you ship on time, even when the unexpected happens (and this is speaking directly from experience). Familiarity With Project Management Tools: There are a lot of different tools you can use to manage projects (including CoSchedule), but whatever you choose to use, make yourself an expert in all its features and capabilities. This isn’t an exhaustive list of skills, but for your purposes as a marketer-turned-accidental-project-manager, these will cover most of what you need. 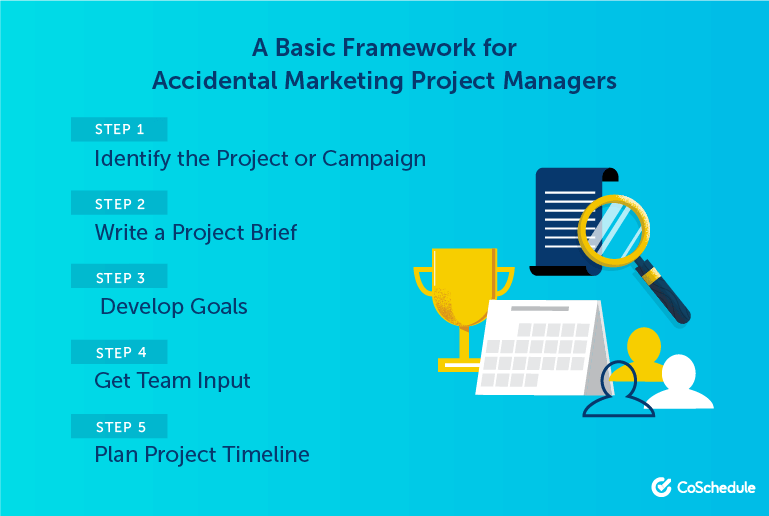 What does this post mean by “accidental” project management? You pitch an idea for a new tactic or project and it turns out that not only does your boss love it, but they want you to run the show (which you probably weren’t expecting). You’ve been promoted into a managerial role (but have never led projects from start to finish before). Managing projects is just part of a broader set of responsibilities on your plate (regardless of your formal title or actual role). In any of these cases, pivoting toward a new life as a project manager probably isn’t necessary. You just need to develop enough skills to effectively see projects through to completion. Above all, you just don’t want to be caught flat-footed when the time arrives for you to take the lead on a project. With this simple framework, you can ensure that doesn’t happen. You’ve likely conducted some sort of brainstorming process or otherwise determined loosely what the given project will be. Whatever it is you’re working on, you need to make sure you’re crystal-clear on its purpose and intended outcomes. A project summary. One or two sentences describing the project at a high level. Some basic details. Who is the project for (ex: who is your audience)? What problems will it solve? How will it be measured and how soon do you expect to see results? The goal. What is the desired aim for the project? It’s helpful if you can nail down some hard numbers, but that can be determined later if necessary. An outline for the process that’ll be implemented to execute the project. A high-level summary of steps and handoffs between team members is sufficient for now. Who will be involved. 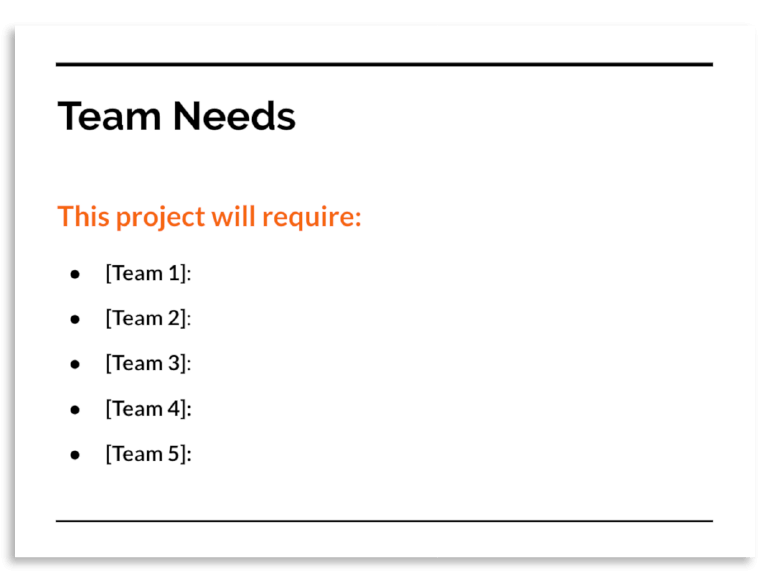 Which team members need to be on the project? Be careful only to include necessary staff in order to make the best use of everyone’s time. Required resources. Which tools and other assets will be needed to complete it? Deliverables. What tangible assets will be created as a result of this project? A rough timeline. When would you like the project to actually ship? A project should always have a goal. Otherwise, you run the risk of falling into the trap of doing stuff just to do stuff, mistaking activity for results. It helps to have a repeatable process in place for setting goals too. Specific: The goal is tied to a specific number or well-defined objective. Measureable: Progress toward the goal can be quantified with data. Aspirational: It stretches your capabilities and will make a major impact. Realistic: But it’s also within your reach and could reasonably be achieved. Time-Bound: It’ll be attained within a set period of time. Every goal you set should meet this criteria. If you determine it doesn’t make sense to set goals for the project at this point, instead determine who will set goals for the project in the next step. 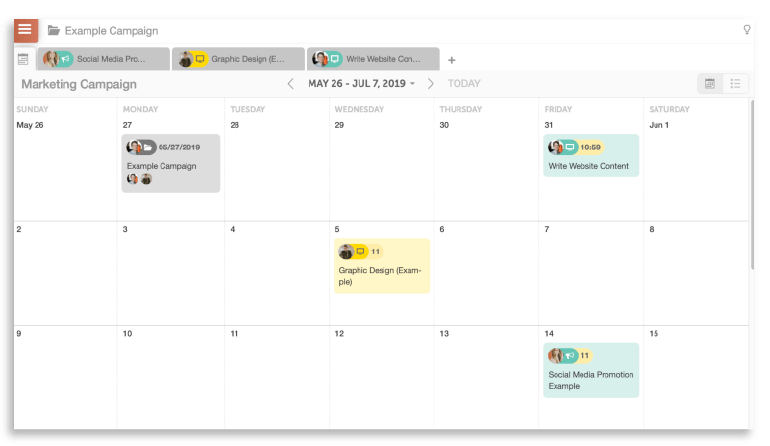 Implementing these meetings have been transformational for project management at CoSchedule. There’s not much to them, either. You simply gather everyone together who’s going to be working on a project, discuss availability and requirements, and then start mapping out how much time everyone needs and putting together loose timelines. How can you run such a meeting yourself? Establish content requirements for our new website. Ensure all steps for SEO best practices are followed. Manage communication between marketing and development. This can be as simple and high-level as this. A note on setting goals: Establishing goals will require some additional legwork before you can present the project to the team. 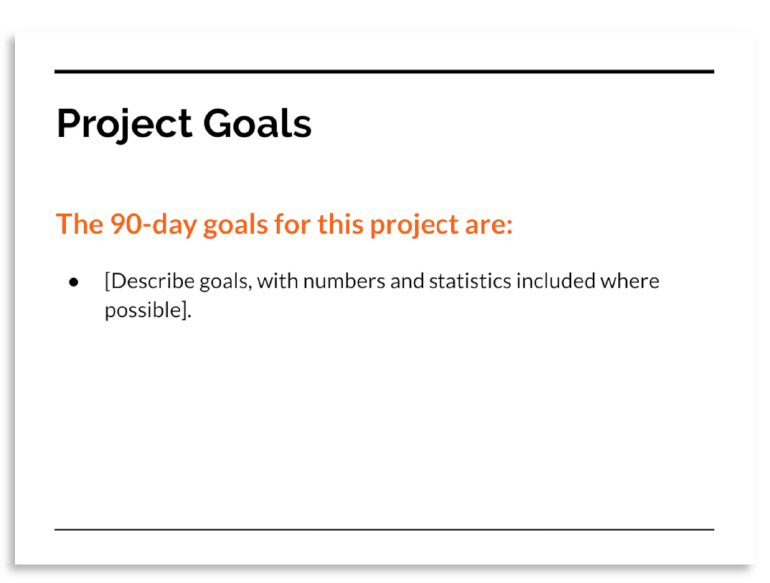 You can start learning how to set goals here, or you can set a line item for another team member (one who might be responsible for analytics or goal-tracking) to set goals as a phase for the project later. Then, schedule a date for the meeting, and send a calendar invite letting everyone know about the meeting. A basic explanation of the project. Share your creative brief with everyone too. Ask what steps each team member will need to take. Especially if you aren’t sure. And how much time they’ll need for each phase of the project. To repeat a point made earlier in this post, always add a couple days. This helps provide flexibility in case something comes up. You can safely assume something will come up, too. Team member names on the left are self-explanatory, but it’s helpful to list everyone in the order they’ll need to step into the project. If you’re unsure about this, you can use some time during your team huddle to work this out within the team. 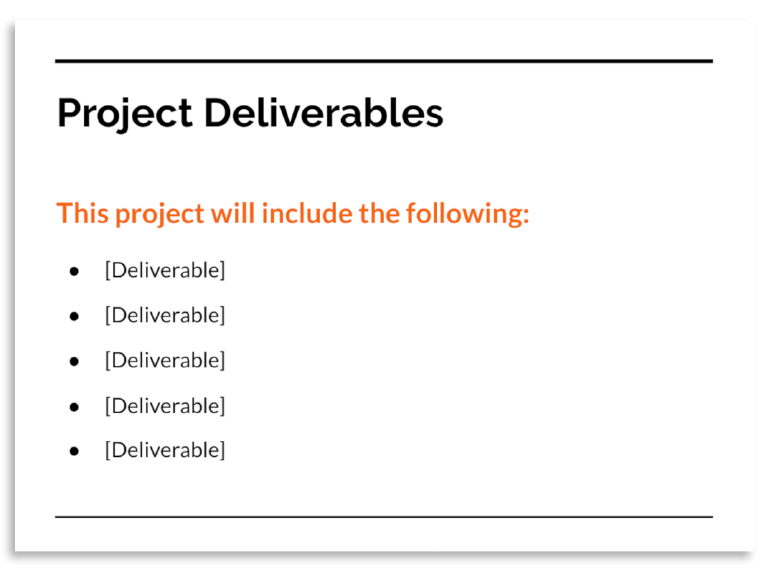 The Phase column refers to which pieces or steps in the project each team member will be responsible for. Size refers to the level of effort required for each phase. You can denote this in several different ways. One method is called “t-shirt sizing,” where level of effort is denoted as S, M, L, or XL. Each “size” correlates with a set length of time (for example, S might mean one day, M might be three days, and so forth, based on what you decide). The timelines column should be used to list how many days or weeks each phase will take. This is useful in addition to the Size column because when people are working on multiple things at once, saying a phase will take three days (in total work time) doesn’t mean it’s going to get done three days from right now. So, use this column to list the total number of days the team member will need (then add two days for buffer). By the time you’re done, you’ll have the raw information you need from the team to actually start mapping out the project in your project management software. With that in hand, it’s time to get granular in planning out the individual tasks that will need to be completed throughout the project. 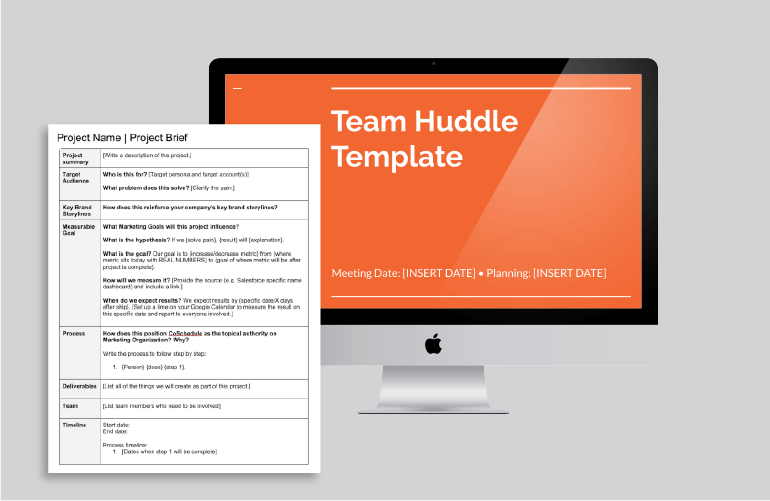 Ideally, your team members will be able to tell you which tasks they’ll need to tackle, and all you need to worry about are the deadlines for each team member’s phase in the project. 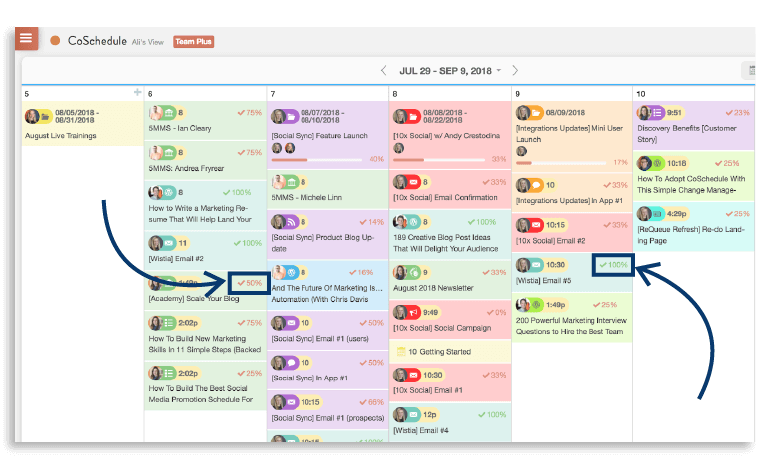 Jump into your project management platform (whichever you’re using is fine, but for demonstration purposes, this post is going to use CoSchedule) and start creating entries for each phase and mark off deadlines. Now, ideally the tool you’re using will allow you to set up tasks, with deadlines for each one. At this point, each team member should be able to add their tasks (Task Templates can make this extremely easy, by allowing you to create and save task lists). Otherwise, you can sit down with each team member to help them walk through all the tasks they’ll need to add. If certain tasks require other tasks to be completed before being assigned, you can use Task Rules too (this allows you to set up triggers where when one task is complete, another is added to the list). By the time you’re done, you’ll have all your deadlines for each phase, and all of the tasks everyone needs to complete all planned out in one place. 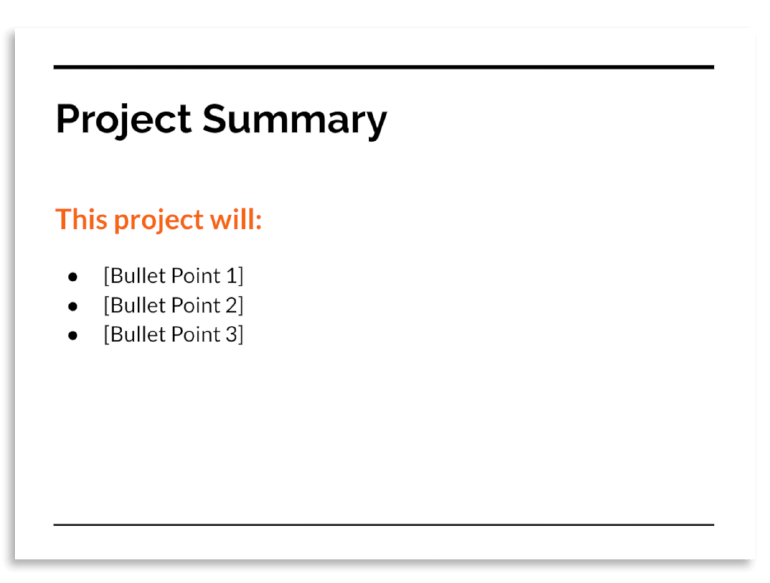 Label all your projects in the Sprint column. List the level of effort (number of hours) each team member will need to complete their tasks or phases (ex: Bill, Designer, 10 Hours). Then, in each Week column, name the step or task that’s due, along with some notes or additional context. Then, to manage workflows for each project, create a checklist using another app (such as Evernote or another note-taking app). This is the quick and dirty, lower-cost approach. If your marketing team is using agile project management, you’re probably already familiar with the concept of a standup meeting (sometimes called a scrum meeting). What’s preventing them from getting their work done. That’s about it. If you run these meetings in the purist sense, everyone stands up during the meeting to discourage it from running too long. You get to the point, and if anyone needs to have a discussion about anything, you find who you need to talk to afterwards. You can also run these meetings simply by sharing status updates over Slack or your other internal chat app. 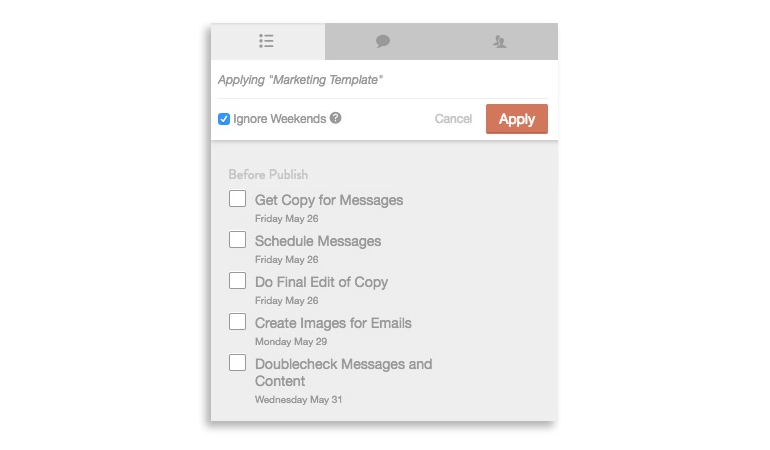 The marketing team at CoSchedule has experimented with both approaches. You can feel free to do the same and find what works best in your situation. As a manager (even just as an ad hoc project manager), your success is determined by your team’s success. Of course, the actual success of any project is somewhat independent of how well it was run. You could be extremely effective in running a project or campaign that simply doesn’t deliver results (and as much as it stings to admit sometimes, not every project can be successful every time). But, from a project management perspective, you can gauge the success of your efforts based on whether team members are hitting their deadlines, and you’re able to ship on time. 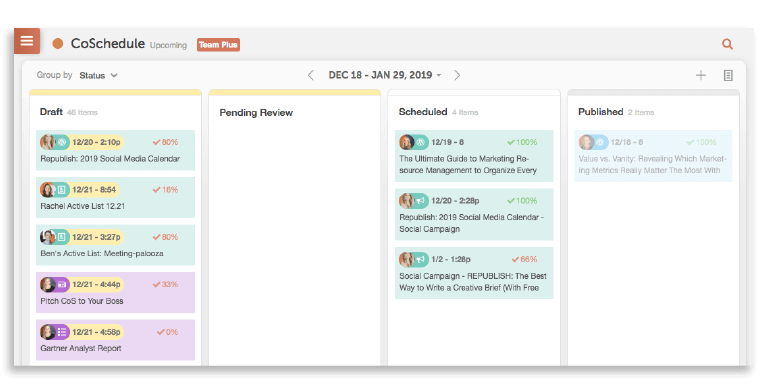 Together, this makes it extremely easy for you to see how projects are progressing, know when deadlines are getting met, and actually quantify your team’s productivity. That means you can follow up with your team only when you need to, because you can see very quickly when deadlines are coming up, and know when it’s time to have a discussion about a task’s status. You can achieve similar goals with other tools too, or even do this work manually by planning and tracking tasks and projects using spreadsheets. 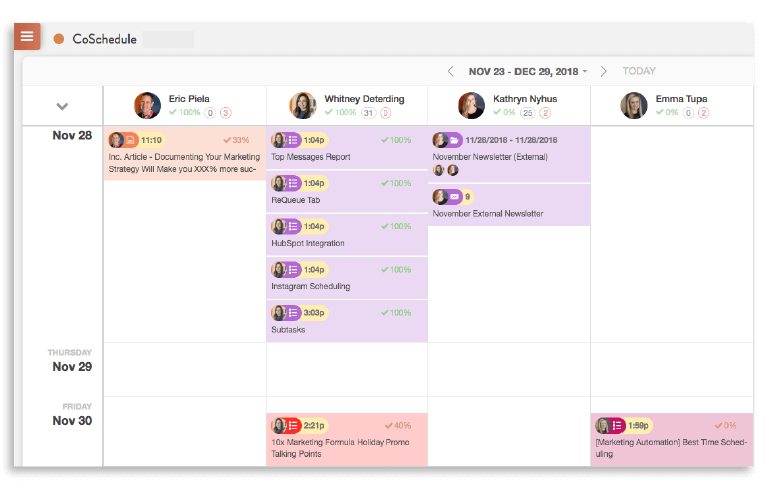 Now, working with endless spreadsheets contributes to a problem CoSchedule dubs “makeshift marketing,” but they’re also free, and using what you have available is better than doing nothing at all. 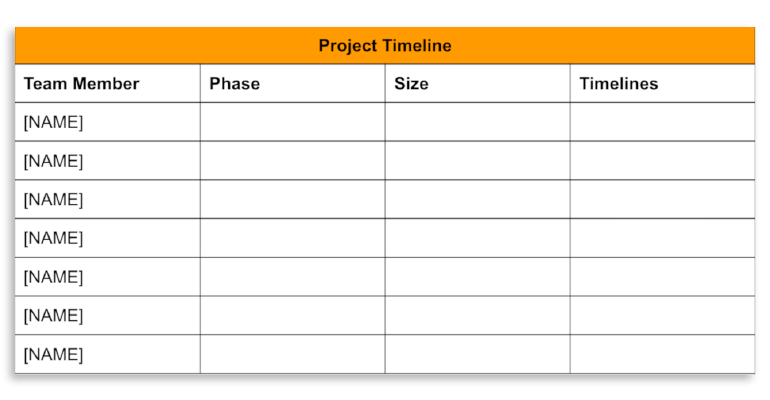 With that in mind, you can use the downloadable project time tracking template (included in this post—scroll up near the introduction to find the downloadable template bundle if you haven’t gotten it yet) to manage projects and see how things are going. This helps visualize what work is actually getting done (provided everyone completes their time sheets accurately). Again, some sort of software (whether that’s CoSchedule or something else) is vastly preferable for tracking work completion, but this approach can work too in the absence of more advanced options. Or something just might not go as planned. When conflicts arise, it’s important to remember it’s not the end of the world. You just need to get to the root of the issue, remove the source of contention, and keep the project moving along. Are Deadlines Actually the Issue? The most common concern you’re likely to face is something comes up and someone can’t get something done when they initially promised. If you built in some buffer time into your project, you should be able to move their deadline a bit without delaying the project as a whole. This has proven to be a lifesaver a time or two internally at CoSchedule. However, if someone is constantly blowing deadlines, you may need to help them better estimate how much time they’ll actually need to get work done. Estimating is tough to get right and takes some time and practice to really understand how much time you should actually set aside for a given task. If that fails, the next step is to discuss the issue with a manager. Or, if you are the manager, take corrective action, which is a topic for another time and post. Say you want to take your project management capabilities to the next level. Where can you go for further training or what should you read to learn more? Here are some suggestions. That should be plenty to get you started, though a quick Google search can yield many more options. This isn’t a complete guide to managing projects, and there’s plenty more you can learn about its ins and outs. But, for most marketers, this post may well include as much as you’ll practically need to know to manage projects and campaigns day to day. It might seem overwhelming at first, but with a little bit of practice, it’ll start to feel like second nature. Best of luck.